Season 4 of Fargo was recently greenlit and now it has been announced that Chris Rock, who will be returning to television fulltime for the first time in ten years, will be the star. 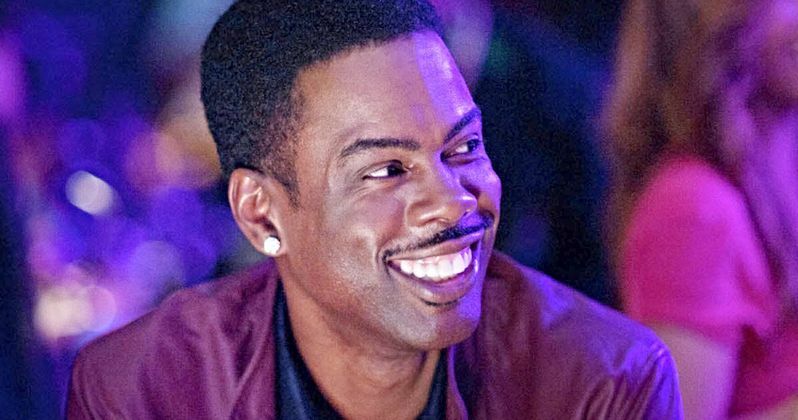 Chris Rock was last on TV for a fulltime gig with UPN's Everybody Hates Chris and the new casting will bring him back to FX, where he had previously worked as the executive producer of Totally Biased with W. Kamau Bell. Fargo is an anthology series, based on the 1996 film of the same name, with new timelines and new characters as well as casts every season. Chris Rock revealed that he was excited to join the cast of Fargo, noting that he's looking forward to working with series creator Noah Hawley. He said, "I'm a fan of Fargo and I can't wait to work with Noah." While speaking at the Television Critics Association presentation, FX CEO John Landgraf said Hawley reached out to Rock, which resulted in the two having lunch. Hawley explained to Rock what season four was about and the actor "signed on right away." Fargo Season 4 is set in 1950 Kansas City, Missouri and is all set to begin production in 2019. The season tells the story of immigration and assimilation, which will ultimately have good people resulting to not necessarily good things for money, in true Fargo fashion. It had been previously reported that the upcoming season will premiere in the fall of 2019, but that has yet to be confirmed and may be a long shot if production is only starting in 2019. Regardless, with Chris Rock on board and the setting, it seems like a slam dunk that will continue the praise that each consecutive season has received over the years. The official synopsis for Season 4 of Fargo gives a more detailed look at what to expect from the anthology series. It looks like two crime syndicates who have unexpectedly come to a truce will be taking advantage of some migrations to Kansas City. Everybody is fighting for their chance at the American dream and things might get pretty ugly. The synopsis reads. "Season four of Fargo is set in 1950, at the end of two American migrations - that of Southern Europeans from countries like Italy, who came to the U.S. at the turn of the last century and settled in northern cities like New York and Chicago - and African-Americans who left the South in great numbers to escape Jim Crow and moved to those same cities - you saw a collision of outsiders, all fighting for a piece of the American dream. In Kansas City, Missouri, two criminal syndicates have struck an uneasy peace. One Italian, one African-American. Together they control an alternate economy - that of exploitation, graft and drugs. This too is the history of America. To cement their peace, the heads of both families have traded their eldest sons." Chris Rock will play the head of a family in Fargo, who has surrendered his oldest boy to his enemy, and then takes in the son of his enemy to raise as his own. Things sound tricky, but it is apparently profitable until everything changes after the death of the head of the Kansas City mafia. All in all, it looks like the fourth season of Fargo is going to get pretty intense. You can read more about Chris Rock's casting over at The Hollywood Reporter.